The team at Fixari Family Dental is here to help you keep your resolution for better all-around health in the new year. 1. SCHEDULE EARLY. 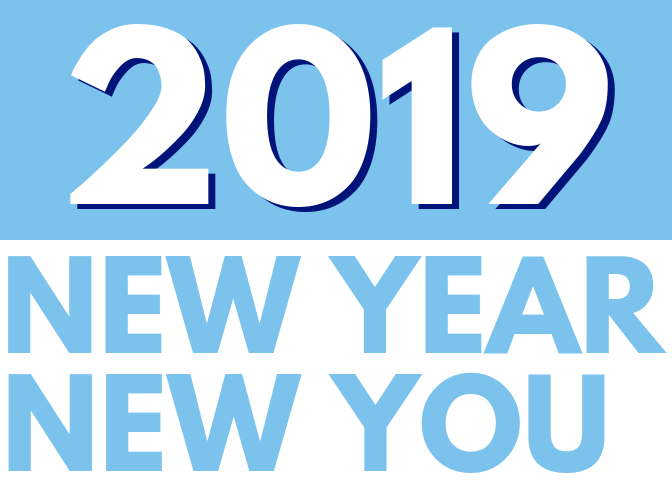 Early morning, evening and weekend appointments may still be available for 2019, so call 614-429-1206 or click here to get scheduled. Scheduling early gives you the most options for your busy schedule! 2. GET STARTED ON WHITENING. If this is an option, we have an exceptional whitening system that you control. Maintain your continuing care appointment with your hygienist and doctor for complimentary tube of whitening gel. 3. TOOTH SENSITIVITY ISN’T NORMAL. This may be the result of an underlying problem, which gets worse each day you wait. Don’t procrastinate on your health. 4. JUMP START WITH FLUORIDE. At each continuing care appointment, we recommend both adults and children having a fluoride treatment. A recent study showed that children and adolescents who received fluoride treatments for just one year were 50% less likely to develop cavities and decay. Use a toothpaste with fluoride, at home, in between visits to our office. 5. EAT YOUR FAVORITE FOODS. Implants or crowns can help with broken down or missing teeth, so you can enjoy your favorite foods without the worry. 6. YOUR DREAM SMILE IS POSSIBLE. Request a free smile consultation with one of our doctors and ask about veneers. Thinking about Orthodontics or Invisalign? Dr. Lawrence, our Orthodontist, has been perfecting smiles for over 30 years. Ask for a FREE Orthodontic consultation at your next appointment. 7. ESTABLISH HEALTHY HABITS. Download Habit-Bull on your smartphone and make flossing one of your habits, in 2019 and beyond! Flossing helps to prevent periodontal disease, which affects other major health issues including cardiovascular disease and lung health. Get started on your new smile resolution today. Total body health begins with your mouth, and we are here to help you each step of the way! Did you know that tooth decay is the most common chronic disease in children? 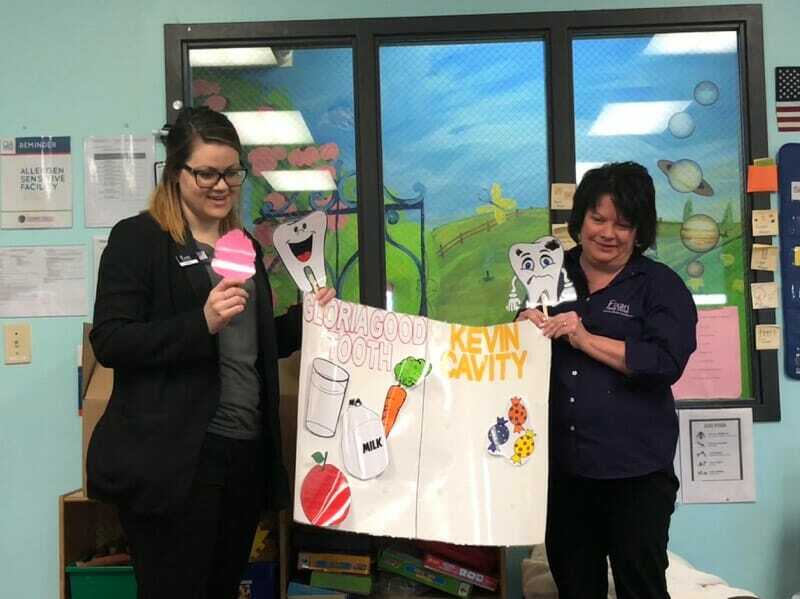 Chelsea & Mary Beth teach children at The Goddard School, in Pickerington, about eating healthy snacks and their impact on dental health. The good news is that there are safe and effective preventative measures that can protect teeth. – When should my child first see a dentist? – How much is too expensive? – Should I let my child brush their own teeth? – When will my child lose their baby teeth? – What if my child’s teeth come in crooked? – Will my child get a “shot” at the dentist? – 1st appointment? What should we expect? If you have any of the above questions (or more) please call the experts at Fixari Family Dental or visit the Children’s Dental Center of Columbus Facebook page. Time is our friend, although sometimes it seems so difficult to believe that time has passed so quickly. Whether it is ourselves, our children, or our acquired wisdom, time can have a great benefit and fun to reflect on. Our permanent teeth probably emerged around the time we were 6 years old. If we actually counted the times that we chewed with these durable little guys, it would be in the tens of millions by the time we reach the age of 50. Thankfully they are made of the hardest human tissue – enamel. Enamel is made up of a resilient crystalline structure call hydroxyapatite. It is made to last. How long? Well that varies upon how we take care of our teeth, and how long we live. During our childhood, teeth seem to be the most vulnerable to decay. As we age, our soft tissues and bones become more and more susceptible to periodontal disease. Our personal automobiles (my great Aunt Cora called her car her “machine”) do take a bit of mileage before they look old, or don’t work any more. Teeth are amazing really, with the correct maintenance plan. Your dentist can help you get the most out of the years you keep your teeth. Understanding the solution for your care is always step one. Our doctors at Fixari Family Dental are glad to discuss your objectives for a healthier mouth, and follow up with suggestions and recommendations for you specifically. Everyone is different, so maybe a customized plan works best for you. It is not necessary to settle for an old smile, if you prefer a new one. Cosmetic dentistry, orthodontics, and even whitening are well within the reach of every dental patient. They will often take years off your smile! “Is it going to hurt?” is the most common question we have been asked in all the years of practice. No matter what the procedure or appointment, patients are carefully questioning the appointment process not as much to know what is happening exactly, but they want to know what to expect as far as comfort. No matter what the procedure, the patient should have a review of what to expect, step by step. They want to know when or if they need to “be brave”. In reality, dentistry has come so far that no one needs to be uncomfortable any more. We are in a high tech age now! Our doctors are trained in using the painless injection technique with both children and adults. We all deserve this careful treatment. Many patients are amazed that their own imaginations created more discomfort than the actual procedure itself. We are very proud that we are able to offer the best to our patients. There is no excuse to cause discomfort during a dental appointment. Our mission is to create long lasting relationships with all of our patients. Having a smooth and comfortable appointment is our expectation! If you have questions about your upcoming treatment or would like a no-fee second opinion, please call our office. We are here to help! Fixari Family Dental will be giving away some awesome prizes to our patients during the month of December. There will be twelve, in fact! Enter as often as you wish! To qualify, you will need to be an active patient at Fixari Family Dental. Also we need to have an active email on file to communicate with you about the promotion. Pick what you want to win, and go for it! Dec 2nd and 3rd – Make and keep your appointment on either of these two days, to be entered to win a $30 Anderson’s Gift Card. Dec 5th (Monday) – Go to our Facebook page and comment about your favorite Christmas memory. You will be entered to win a beautiful Holiday Wreath from Oakland Nursery. December 7th (Wednesday) – Win an Award Winning Kringle from the OH Danish Bakery in Racine, Wisconsin! Simply comment on our 12 Days of Christmas blog with your favorite holiday recipe. It can even be a family tradition! Thank you for sharing. December 8th (Thursday) – Would you like to win a 1 year Fixari Family Dental – Dental Membership Plan? To enter, go to Facebook and “tag” someone to whom you would like to share all that is happening on our Fixari Family Dental Facebook page, who may not already be a patient.Details for the membership plan can be found on our website. are on our website. Don’t forget about our referral contest as well! December 10th (Saturday) – Go to our Christmas Music Facebook Post (you will know it when you see it), comment on the post stating your favorite holiday song and be entered to win some more Christmas music for your collection! December 12th (Monday) – Win a $20 Kroger Gift card. Go to our website and send us a message on our “request an appointment” page. Make sure we have your next appointment on the schedule, then “check-in” on our Facebook Page at your visit. Good luck! December 14th (Wednesday) – Make and keep your appointment on this day to be entered to win a gift card from the well known Resch’s Bakery! December 16th (Friday) – Don’t miss your chance to win 2 Columbus Blue Jackets Tickets! Put on your favorite ugly sweater – take a photo of yourself with your sweater, post on Facebook and “tag” Fixari Family Dental. Join the excitement and start posting today! December 20th (Tuesday) – Win the highly recommended Philips Sonicare for your personal use at home (or give it as a great holiday gift!). Go to our recent blog post about our new referral program. Simply post a comment of the number of patients you referred to our office(s) throughout 2016. December 22nd (Thursday) – Win a holiday stocking full of toothbrushes, floss, and other “dental” surprises! Great for holiday travel of hosting family over the holidays. Schedule and keep your appointment for December 22 or 23 to be entered. December 28th (Wednesday) – Win one White for Life Membership at Fixari Family Dental. Make and keep your appointment on December 26th, 27th, or 28th and get a bright start to your New Year! December 30th (Friday) – Have a crown completed at Fixari Family Dental from Dec 1st through Dec 30th to be entered to win Dinner for Two! Two crowns – two entries! Crown – What to Expect? Well, I needed my first crown. Since I have completed hundreds myself, there was no question in my mind about how a crown is made, but interestingly having a crown from a patient’s perspective – caused even more of a mission for me to communicate how a patient feels during the procedure. Additional procedures mean additional time, cost and possible discomfort when you least expect it. Having a dental team that is patient centric is key. I already knew that my dentist used a painless injection technique so there would be every effort to keep me comfortable during the entire visit. This is essential! Sitting still for about an hour was the most difficult part of the procedure in my opinion. The clinical team did have expectations to get the job done as quickly as possible, but also did not cut any corners when it came to steps needed for creating the best result in the end. After the painless numbing of the tooth, I waited about 10 minutes while the team made additional preparations and set aside the next 30-40 minutes to spend directly with me. An impression was made of the tooth to allow for a quick fabrication of a “temporary crown”. This was what I would wear for 2 weeks while the porcelain crown was made. After feeling numb, the tooth was shaped and prepared using water spray. Once completed, another impression was made. Plenty of medicaments were used to reduce tooth sensitivity. A temporary crown was made and inserted to fit for the next two weeks. My assistant worked on making sure the temporary crown was comfortable for chewing. She cleaned carefully around the crown. Being a dentist, I already knew how to clean around the temporary – but she would teach this to most patients, an important step to keeping the area comfortable and healthy. Then she would explain that after 2 weeks, the temporary would be removed, the area cleaned, and the final crown would be inserted, fitted by adjusting if needed, and cemented back to place for the duration. When the final crown was seated to place, it was amazingly smooth and just like my old tooth surface. the area around the gums was sore for a couple of days, but with diligent flossing, the soreness went away. Admittedly, I am better now at flossing around my new crown than I was before it was made. Keeping the edges clean and the gums around it healthy will ensure that it lasts as many years as possible. I really appreciate my new crown! As we reflect about what was available 100 years ago, 200 years ago in the field of dentistry to our population in the United States or the State of Ohio, we may not generally appreciate the strength of how far we have come, giving us a tremendous advantage for our families and ourselves. Let’s look at what we might be thankful for. Convenience – We can recall the days when a family would spend half of a day to take turns hopping in and out of a dental chair for their routine 6 month visits. The dentist had only one or two chair opportunities. Today we understand and value the time of our customers by offering convenient hours. Patients can call and be seen often the same day – adding to the convenience. Routine or emergency dental care is accommodated many times the same day as well. State of the Art Dental Care – Research and improvements allow us to treat at the very best level of care today. Even in our personal view of the past 30 years of the evolution of dentistry, we have seen massive improvements in diagnosis, implants, orthodontics, periodontics, prosthetics; the list goes on and on. Being a part of an energetic and progressive dental practice like Fixari Family Dental, gives you the consumer a major advantage for the best possible care. Patient Centric Dental Care – As the business of dentistry now focuses on patients, the field of dentistry is in a fantastic place – for patients as well as team members who enjoy giving and serving the community. 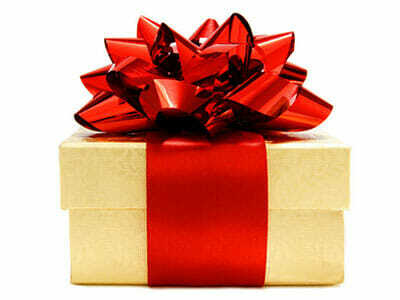 Give your family the gift of excellent care, comfortable care, and a confident smile for a lifetime. Schedule your next visit today! In our current society, we continue to fight dental decay both in children and adults. Preventing these before restorations (fillings) are needed is a good idea. Dental sealants are thin plastic coatings that can be applied to the chewing surface of teeth. Most of the time they are applied to permanent back teeth, like molars and premolars, to help prevent decay. These teeth are the most susceptible since they have grooves where food and bacteria hide and grow. This bacteria – called plaque, buildup on these teeth creating toxins that eat away at the hard enamel, causing holes that we call “cavities”. Dental sealants are usually applied to the molars of children and teenagers when they first come through the gum. The most cavity-prone years are ages 6-14, so sealants are often applied before this age. Dental sealants can sometimes be placed on adults or even baby teeth, depending on the amount of grooves in the teeth. Ask your dentist what is recommended for you or your child. The teeth are cleaned and thoroughly dried. An acidic solution is placed on teeth to create a rougher surface so the sealant can adhere. The solution is rinsed off and the teeth are dried. The liquid sealant is painted on the teeth, where it bonds and hardens. Sometimes a high-intensity light is placed on the teeth to help the sealant dry and harden. Once hardened, the sealant forms a plastic varnish that bonds the grooves, forming a protective shield. 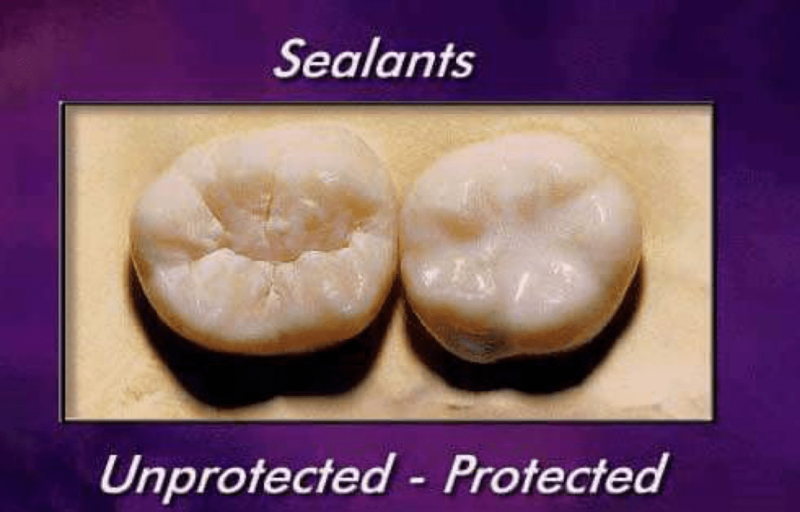 Dental sealants can be clear or white, depending on the sealant. You may or may not be able to see them. They can last five to 10 years, but should be checked for wear or chipping during a normal dental visit. Fixari Family Dental recommends that dental sealants be checked every 6 months to ensure they are sound and fully protective. If they wear away, dental sealants can easily be reapplied. Sealants can provide extra protection when used with a child’s regular dental care. They provide a protective barrier on teeth that are hard to reach with normal brushing and flossing. Let’s face it, children are not the best at brushing. If allowed to fully decay, teeth will sustain irreversible damage and must be filled. Sealants can save you and your child the time, money and discomfort of dental fillings! Adults should also ask their dentist if they would benefit from sealants. Ask our team what their recommendations are for your family’s teeth. Dental Insurance – What do I do with it? Dental insurance is a nice benefit if it is valuable to you. Insurances vary greatly in their requirements and payable claims. Some are quite simple, however, most are complex in how they formulate their reimbursement. Deductible – most insurance companies, including medical policies have a deductible. This amount must be paid by the policy holder before any benefit monies are paid. This varies, depending on the policy and may apply to some items and not others. CoPay – Insurance companies usually require the policy holder to invest by paying part of the fee. This is a co-payment. Allowable Fee – Insurance companies will decide a maximum fee amount that they will pay – even if it is a percentage of that allowable fee. Allowable fees vary from insurance company to insurance company. They are also different within insurance companies, depending on each policy. Assignment of Benefit – Some insurance companies will reimburse the patient only. In that case, the patient is responsible for the total fee, and will be reimbursed later by their insurance company. If you are unsure about how your particular dental insurance policy works, you can reach us directly at 614-866-7445 and 614-834-3455. We will do a complimentary benefits check for you, exploring your particular dental plan. When we better understand what your insurance is able to supplement, we can help you plan out your dental care to help improve your dental and overall health. If you do not have a dental insurance plan, please call us and ask about our Fixari Family Dental – Dental Membership Plan. You can visit https://fixaridental.com//dental-membership-plan/ to find out more. The Fixari Family Dental team is always happy to help. Our smiles are an important way that we communicate to the world around us. Kindness, confidence, beauty, health, and encouragement are non-verbal ways we share with others using our smiles. The option between choose traditional braces and Invisalign can be confusing. How does one decide what is best for them? It truly depends on the patients lifestyle. Braces are brackets and wires that are fixed to your teeth 24/7 and move or straighten teeth. Invisalign is a process where removable aligners are used and changed as the teeth move. Invisalign uses a scanner and computer to create a customized series of trays specific to each patient. One of the benefits is that these trays are removable, allowing patients to sometimes remove them for photos, special events, speaking opportunities, etc. Traditional braces use wire and metal. There are other aesthetic options for braces, such as clear tooth-colored braces that don’t show as much metal when a patient smiles or speaks. If someone is not interested in brackets, then Invisalign is the best option. Invisalign trays are clear and blend in with teeth very well. With braces, eating foods such as chips nuts, gum and sticky candies can be challenging and often is avoided. These can disrupt and loosen the brackets and wires, causing extra trips to the dental office for adjustments. Apples and some meats will need to be cut up. Since Invisalign trays are removable, you can remove before eating and drinking. As we all know that brushing and flossing is important, regardless of which type of orthodontics you choose. Both can be done with either kind of orthodontics. With most orthodontic care, occasionally a bracket may come loose or a wire my move and irritate the inside of your cheek. There are ways to fix these issues before and after a trip back into the office. Fixari Family Dental is available with extended hours to assist you when this happens. Please don’t hesitate to contact us for any orthodontic emergency. Availability is an important part of your decision in selecting an orthodontist. Selecting Invisalign will cut back on orthodontic emergencies. It is a good choice for working adults, college students who are out of town, or simply those on the go. Invisalign offers flexibility. There are cases when Invisalign is not recommended. Growing children are often given orthopedic devices prior and during orthodontic treatment. Children are not always best at keeping track of trays and specific instructions using aligners. For children and adult cases involving surgery, traditional braces may be the best option. If you are considering braces or Invisalign in the Columbus Ohio area, please call Fixari Family Dental for a complimentary evaluation with our orthodontist, Dr. Gu. 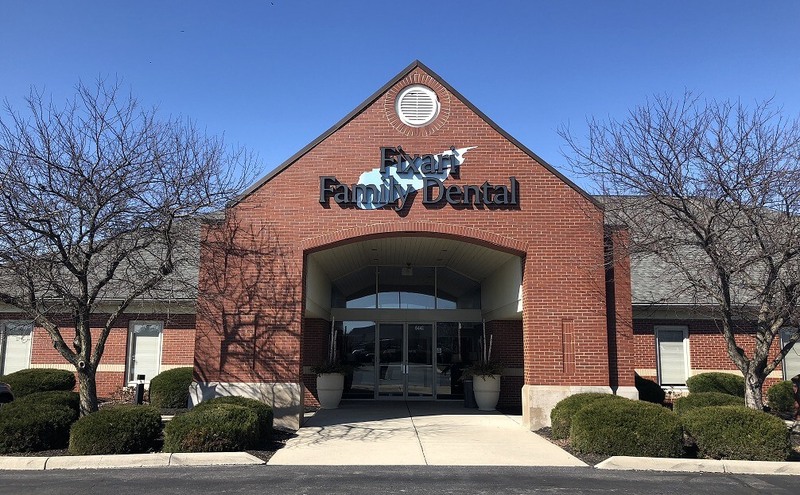 Fixari Family Dental has two locations in Columbus and Canal Winchester with convenient evening hours as well as Saturday hours to fit the needs of everyone. We will decide together what type of orthodontics works best for your life.